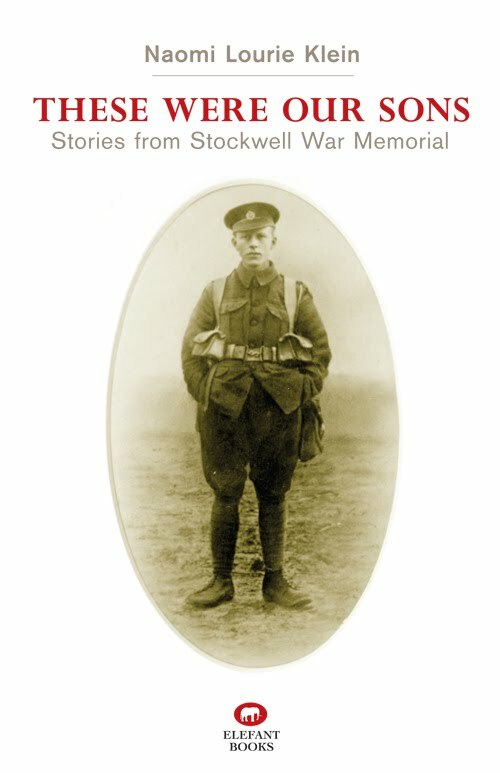 Naomi Klein, the author of the informative Stockwell News blog has compiled a book recording the lives of the soldiers remembered on the Stockwell War Memorial. These Were Our Sons: Stories from Stockwell War Memorial contains stories of the 574 men from the area who were killed in the First World War. Using census information from 1911 and earlier, Commonwealth War Graves Commission information, original Service and Pension files, rolls of honour, contemporary maps and the vast resources of the internet, she has pieced together the lives of men whose stories would otherwise be known only to their families. "The book is quite wonderfully moving and reminds us just how many families were torn apart in these streets that we love so dearly. The shock of reading of the sheer numbers lost, in our own neighbourhood, and the youth of so many of the fallen, makes me look at our war memorial with renewed humility and gratitude. It deserves a place in every Stockwell home." If you would like to order online you can do so at http://www.elefantbooks.com/. Bring Bike Hire Scheme to Stockwell!